DAVID LE/Staff photo. 4/30/15. 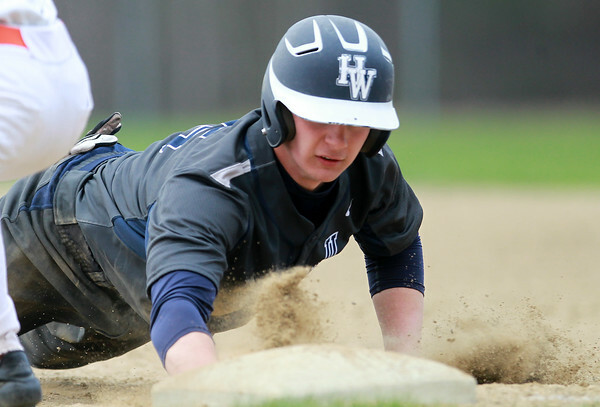 Hamilton-Wenham senior Austen Michel slides safely back into first base on a pickoff attempt.